MRRA Inc. is proud to announce their co-sponsorship of the Society for functional near-infrared spectroscopy's biannual meeting held in Montreal, Canada. During the meeting, the company announced the launch of its newest fNIRS system, the fNIRS FLEX. The new instrument is configurable to meet the specific needs of researchers and uses glass optical fibers to maintain the highest signal integrity. The system features photomultiplier or photodiode sensors and may be used with the companies hair-penetrating brushed optodes. For more information contact MRRA Inc. at 817-301-3794. Concurrent with the annual Organization for Human Brain Mapping annual meeting, MRRA Inc. announces the launch of it's newest Cortical Activity Viewer (CAV) model CAV-III. The new fNIRS system is configurable from 8 to 32 receive channels, and from 4 to 16 dual-wavelength transmit channels, thus offering flexibility as well as a system upgrade path. The CAV-III uses patent-pending technology to yield high levels of sensitivity using rugged silicon PD detectors and eye-safe LED emitters. The battery-operated system also enables simplified IRB approvals. MRRA Inc. is proud to announce that the Cortical Activity Viewer Model Genie fNIRS system has won the Bronze level Excellence in Design Award in the medical category for 2013. This prestigious award recognizes superior product design and is part of the 26th Annual EID awards. "It is very gratifying to be recognized among companies such as General Electric, HP and LG Electronics. I'm very proud of our design and development teams," says CEO Dr. Chester Wildey. This international award may be viewed on the web here. For a list of all 2013 winners, click here. Breaking barriers in low cost, small size and portability, MRRA Inc. introduces the Genie fNIRS system. Available in January 2013, the instrument is scalable with up to 16 dual wavelength transmit and 32 receive optodes. The optodes feature hair-penetrating brush fiber optics that have been shown to increase signal levels by a factor of 10x over ordinary flat optodes as well as decreasing set up time (the optodes previously described in the popular press as “the hairbrush that reads your mind”). For portable applications, the unit features battery operation and wireless data transmission. MRRA Inc. is a proud sponsor of the bi-annual world-wide fNIRS conference held in London during October of 2012. With 250 registrants, 115 poster presentations and 30 speakers, including leading researchers in the field, this conference showcases the most important advances in fNIRS methods and technology. Auburn University utilized an MRRA Inc. model HT-1000 motion tracking system during fMRI mapping of canine olfaction. Dogs were trained to remain as motionless as possible and the HT-1000 was used to measure and compensate for the residual motion. Analysis of data with/without the measured motion parameters showed significant improvements in signal recovery when using the HT-1000 data. Our poster may be viewed here, and a seminar about use of the technology for full 6 DOF motion measurement may be viewed here. The MRRA Inc. board of directors announces that concomitant with acquisition of a larger equity stake in the corporation, Dr. Chester Wildey will assume the role of Chief Executive Officer. MRRA Inc., collaborating with leading fNIRS researchers, announces publication of testing results for an improved fNIRS optode design. The new optodes allow light signals to penetrate hair, improving signal levels by a factor of 10 and increasing experimental success rates from 50% to approximately 100% for subjects with hair. To view the paper, see: Biomedical Optics Express, Vol. 3, Issue 5, pp. 878-898 (2012), or click here. A news item describing the technology may be viewed here. MRRA Inc. announced the award of a contract from the US Army Medical Research and Materiel Command to develop an fNIRS based system for the objective measurement of tinnitus. Researchers in association with Texas Scottish Rite Hospital for Children and the University of Texas at Arlington have chosen MRRA Inc. motion measurement equipment to aid in evaluation of rehabilitation training for subjects with cerebral palsy. Concurrent fNIRS and motion tracking are performed during various movement tasking, both before and after experimental therapy. For further information on the web click here and here. MRRA Inc. Announces its participation in DARPA funded-research to enable a new class of optical neural interface technology. Led by Southern Methodist University, the goal of the $5.6M project is to provide a seamless optical interface between peripheral nerves and prosthetic limbs. To read more on the possibilities of the technology, follow the links here, here and here. MRRA Inc. is pleased to announce the appointment of Dr. Richard Briggs to it’s Technical Advisory Board. Dr. Briggs is Professor of Radiology and Biomedical Engineering and Director of Neuroimaging Research at the University of Texas Southwestern Medical Center and Adjunct Professor of Brain and Behavioral Sciences at the University of Texas at Dallas. He has authored more than 85 peer-reviewed articles, 155 abstracts, and five book chapters in various areas of magnetic resonance. He has served as an editorial board member for Magnetic Resonance in Medicine and the Journal of Magnetic Resonance. He is currently Deputy Editor of Magnetic Resonance in Medicine. He has reviewed for 27 journals and served on numerous grant review panels for NIH, NSF, and other agencies. MRRA Inc. announced the receipt of funding from a consortium of research universities, Texas Instruments (TI) and Texas Health Resources (THR) to research and develop new measurement accessories in the area of functional near infrared spectroscopy (fNIRS). fNIRS is a non-invasive method to accomplish brain scans using lasers and is currently under study as a method to determine treatment options for children with cerebral palsy (CP). President of MRRA Inc. Mr. Chester Wildey states, "We believe fNIRS will be an important clinical method in the future and we welcome the opportunity to expand our line of brain imaging accessories into this exciting area". 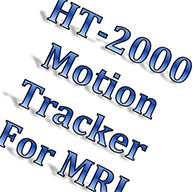 MRRA Inc. announced the launch of its MRI patient tracking system model HT-1000 at the Radiological Society of North America (RSNA) trade show in Chicago, Illinois. The system is aimed for use in research MRI scanners where high resolution brain scans demand that patient motion be minimized. The new system allows researchers to measure patient motion in 6 DOF in real time thus opening the way for prospective motion correction. Dr. Duncan Macfarlane, the principal inventor of the system and CTO of MRRA Inc., says he believes this to be the first commercially available system to enable prospective motion correction for MRI scans. MRRA Inc., a measurement instrumentation company, announces it has been awarded funding from the Texas Ignition Fund (TIF). This highly competitive award aims to accelerate transfer of high technology products from research to production and to create high-tech jobs in the state of Texas. Drawing principals, employees and research partners from industry, top engineering universities and top medical research hospitals, MRRA Inc. announces its organization with a mission to provide cutting edge measurement products to the medical and research communities.